1 WE STILL NEED A STRATEGIC CONVERSATION ABOUT CARBON PRICING. The need to act on climate has never been more urgent. 2015 was the hottest year on record, at 1°C above pre-industrial levels. But the world is on the verge of a tipping point, recognizing that the era of cost-less carbon emissions is over. Global GHG emissions fell last year as the economy expanded, suggesting that pollution no longer needs to parallel growth. China is rolling out a nationwide system to price and curb emissions as the EU looks to reform its emissions trading system to strengthen its price signal. The United States and China have announced they will sign the Paris Agreement this April 22 and encourage other nations to bring the Agreement into force as soon as possible. On the energy side, India has committed to increase its renewable energy capacity by 40% by 2030. Finance is playing its part too, with major banks shifting investment away from ailing, leveraged coal companies and toward renewables. Few would have imagined climate action on this scale even a year ago, before the UN Paris Climate Change Summit, COP21, produced an unprecedented international agreement to keep global temperatures to well below 2°C of pre-industrial levels. But we need even stronger measures. Carbon pricing is a powerful tool to meet the Paris Agreement’s ambitious climate goal. It frames the climate challenge as a financial incentive – polluters are incentivized to cut emissions in order to minimize their cost of doing business. Of the 195 nation states represented at COP21, 90 plan to use carbon pricing and other market mechanisms to meet their emissions reduction goals. This means we can expect carbon pricing to be embedded in many more economies in the future, in fact more than double the number of nations deploying carbon pricing policies in 2015. As momentum grows, our efforts must be focused on strengthening carbon price levels and coordinated action to spread its adoption. Price levels matter: Business and investors are urging governments to enact robust carbon pricing policies. They need the certainty, stability and long-term financial incentives of carbon pricing to make the investments and other strategic decisions required to cut emissions. For this, policymakers need to know which price levels trigger important techno-economic shifts, particularly shifts in energy sources. Widespread adoption through coordinated action: Governments and business can demonstrate climate leadership by supporting stronger prices where carbon pricing policy measures are already in place, and encouraging their adoption where they don’t exist. A sustainable, profitable future requires welldesigned carbon pricing policies that will lead to well-informed corporate and investment decisions. IMPORTANT NOTICE The contents of this report may be used by anyone providing acknowledgment is given to CDP and the We Mean Business Coalition. This does not represent a license to repackage or resell any of the data reported to CDP and presented in this report. If you intend to repackage or resell any of the contents of this report, you need to obtain express permission from CDP and the We Mean Business Coalition before doing so. No representation or warranty (express or implied) is given by CDP or the We Mean Business Coalition as to the accuracy or completeness of the information and opinions contained in this report.  You should not act upon the information contained in this publication without obtaining specific professional advice. To the extent permitted by law, CDP and the We Mean Business Coalition do not accept or assume any liability, responsibility or duty of care for any consequences of you or anyone else acting, or refraining to act, in reliance on the information contained in this report or for any decision based on it. The Carbon Pricing Pathways, first released in September 2015, is designed to facilitate these important conversations – outlining how the development of carbon prices along a common trajectory, in tandem with complementary policies, can smooth the global transition to a new, low carbon economy. 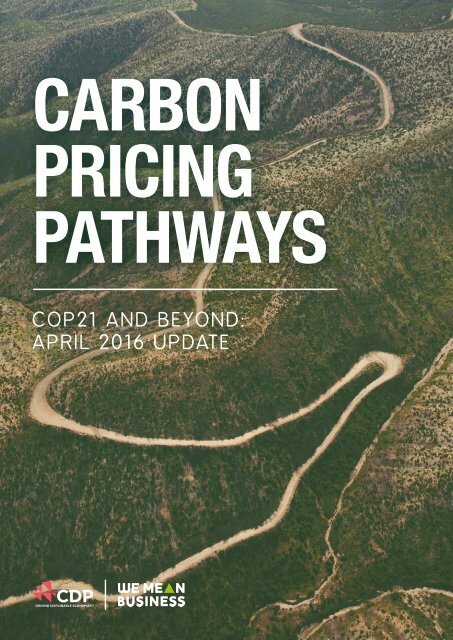 This April 2016 update of the Carbon Pricing Pathways comes four months after COP21. It provides analysis of a selection of global trends and developments that suggest that the world is responding rapidly to the new “rules of the game” set by the Paris Agreement. The strategic conversation on carbon pricing is more urgent than ever, as the era of cost-less carbon emissions draws rapidly to a close. CDP North America, Inc, is a not–for-profit organization with 501(c)3 charitable status in the US. © 2016 CDP and the We Mean Business Coalition. All rights reserved.